3rd Monday of every month at noon, September through June. Catered luncheon, business meeting, speakers, presentations or on-stage entertainment! Visitors are welcome, reservations required. *New Member Coffee - Wednesday, August 15 10:00 am. Find out who we are, What we do. Visitors welcome, please use contact form on this page. *Boutique & Craft Fair - Saturday October 27, 9:00 am - 3:00 pm. *Fabulous Finds Auction - Thursday, November 8, 11:00 am. Bid on quality items donated by our members. *Quartermania, Saturday, January 19, 10:30 am. Bid on a variety of vendor items for quarters (yes 25¢)! Fun, Laughter & surprises abound! Entry $20.00. "Saturday, March 2 - $40. *Flower Show, Thursday, April 25. Public invited to enter free of charge. Exhibits will be received on Wed. April 24, from 2 to 4 pm and on Thurs. April 25 from 7:30 to 9:00 am. Show hours Noon - 4:00 pm. ​Enjoy lunch, plant sales, sweet shoppe, and a variety of vendors! *Bunco Bonanza Wednesday May 22. Reservations may be required for some events. If interested, please use the form on this page to contact us for details. Our Club Year is September through June. We have a July & August break and return again in September. Some sections continue to meet individually year-round. The website is continually maintained and inquiries will continue to receive responses year-round. 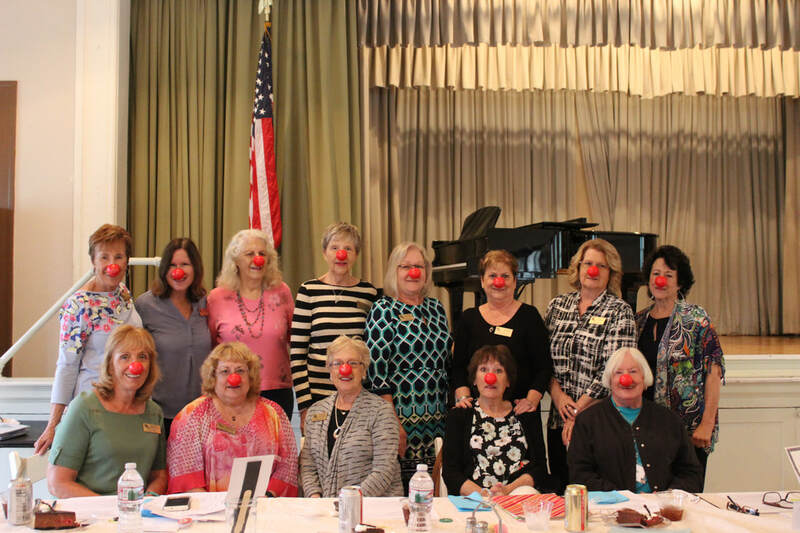 Woman's Club of Orange welcomes new members! Residency in the City of Orange is not a requirement for WCO membership. Member Dues are $40.00 per year, and we require an additional one-time $10.00 fee for club pin when joining. Please feel free to contact us if you might be interested in visiting, joining or have any questions. Red Nose Day, the national fundraising campaign to end child poverty.